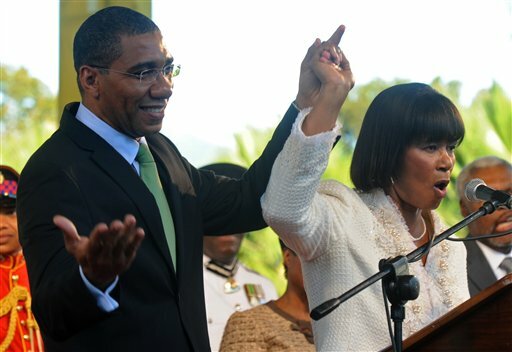 Re: Do Jamaicans here and abroad trust this government? Your August 30th article, “Do Jamaicans here and abroad trust this government?” accurately portrays the sentiments shared by many residents now living abroad on the effectiveness of the ruling People’s National Party (PNP) administration. However, your characterization of the PNP and the Jamaica Labour Party (JLP) as being ineffective may be premature; with less than eight months in office, the PNP should be given more time to demonstrate to Jamaica that it is worthy of ruling. Despite its obvious popularity in the media, propagating this criticism only further hinders the administration’s ability to promote growth. Your laudable recognition of the crucial position of Jamaica’s burgeoning middle class remains incomplete since you fail to recognize the middle class’s growing statures and acts accordingly. For example, those living abroad could contribute to Jamaican development through the government’s proposal to raise $1 billion USD in the sale of overseas bonds. As David Mullings explains, successful diaspora bonds in India, Israel, and Sri Lanka demonstrate the potential for Jamaican growth under this economic initiative. There is no reason Jamaica cannot follow the examples of similar growing nations. Regardless of the party’s past misdoings, it is Jamaica’s responsibility to stand by the current administration and further develop the country through productive dialogue and wholehearted support for the country’s promising bond initiative.